Reliance Jio has taken India by storm, and that’s just not restricted to users who have benefitted from its ultra-cheap data plans. But Jio also affected rival telcos, and delayed revenues for them. In the process, it also turned a profit! According to the Q3 (FY2017-18) Reliance Industries financial presentation, Reliance Jio Infocomm has announced a profit within 18 months of its commercial debut. The telecom major now hosts India’s largest wireless data subscriber base with over 160.1 million users as of December 31, 2017. The Mukesh Ambani-backed venture revealed that its Digital Services Business posted a standalone net profit of Rs. 504 crores in Q3, with its revenue standing at Rs. 6,879 crores. Jio saw a gross subscriber addition of 27.8 million during the quarter, with a net addition of 21.5 million. 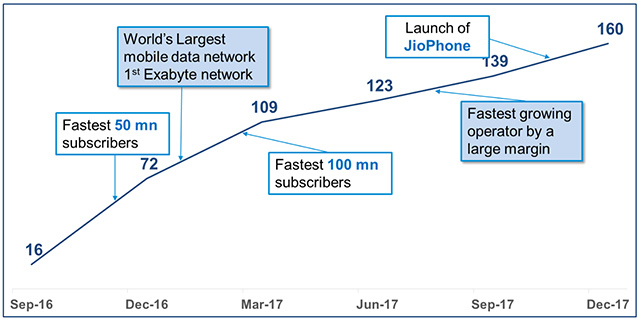 The report also claims that Jio is now the world’s largest and fastest growing mobile data network, posting 431 crore GB data consumption during the quarter, at an average 9.6GB data used per person per month. 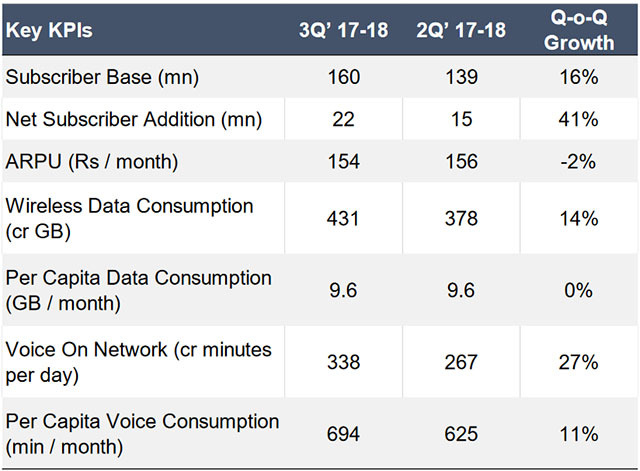 Jio also posted the highest voice consumption in the quarter with an average of 694 minutes per subscriber per month and a total of 31,113 crore minutes of VoLTE voice traffic during the quarter. Jio’s low cost data offering in the market has also boosted the consumption of high-quality video, with more than 200 crore hours of video consumed per month in the quarter. Additionally, the report highlights that Jio offered the best network quality in the country, providing lowest call drop rates, fastest download speeds, and 100% network availability. The company reported an ARPU (average revenue per user) of Rs. 154 per subscriber per month. “The growth in subscriber base is getting further accelerated through the launch of Jio Phone, which has expanded the reach of Jio Digital Services to all the feature phone users as well. 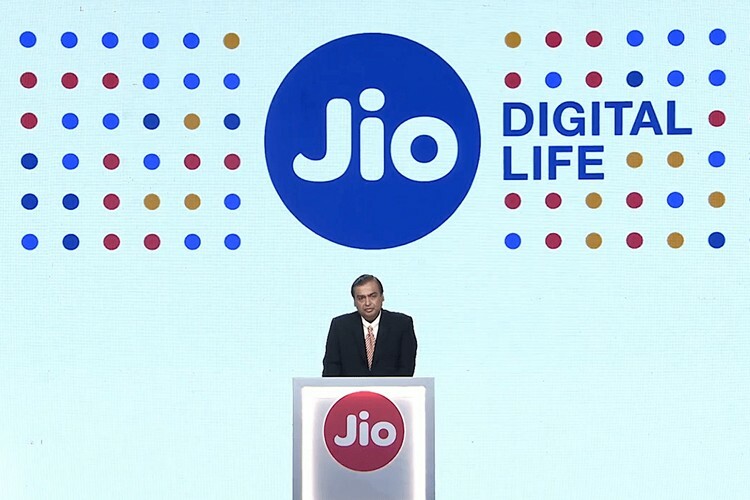 Reliance Retail Ltd is geared to increase capacity of supply of Jio Phone, considering the tremendous response from Indian to embrace Digital Life”, RIL said in a statement. The report also highlights the adoption of Jio Digital services in the country, reporting that the MyJio app has remained the number one app on the Play Store and App Store in the country for six consecutive months. The company claims that it is the fastest indian app to cross the 150 million downloads mark. Other apps in the Jio suite have also reached the top spot in their respective fields owing to the rapid grown of Jio subscribers in the country.